Nightgowns for Curvy Silhouettes - at the end of a long day there’s nothing nicer than slipping into an amazing nightgown that feels like it was tailor-made for you. 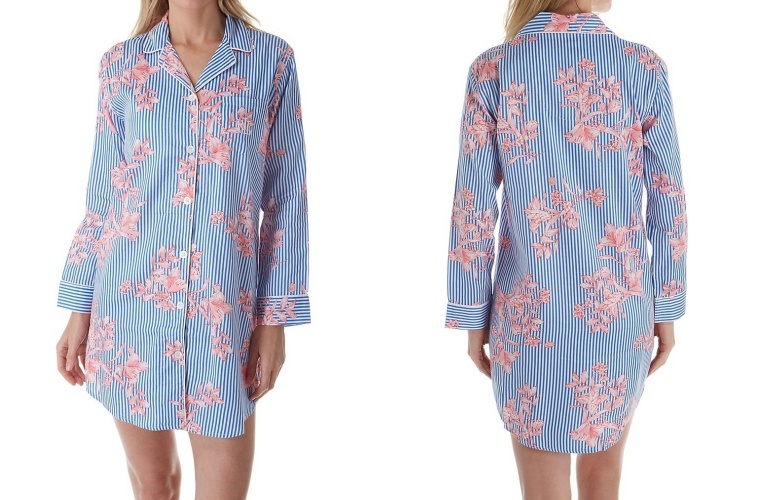 Whether it’s a comfy cozy sleepshirt, a classic long cotton nightgown, or a peekaboo babydoll, that catches your fancy, there’s a world of great styles to choose from. We’ve broken it down to 5 favorites - the key nightgowns for great curves. From long nightgowns to short, these popular nighties definitely have it going on. This swingy nightwear is ultra-accommodating for anyone with curves. Straight cut night gowns can be a little too restrictive for curvy girls, whereas a babydoll is designed for maximum fit and flare - a fitted bustline and flowing skirt that lightly skims over wider hips and curvy derriere. For everyday comfy, cozy, curl up and watch your favorite Netflix and Game of Thrones episodes, a great sleep shirt is a go-to favorite. With an easy, relaxed fit that’s as perfect for sleeping as it is for lounging, the oversized boxy cut of a sleepshirt makes it a popular pick for virtually every body type. For those moments that call for something short and sensational, an A line chemise in classic cotton or luxurious lace is a fantastic choice. This nightie / slip has an airy, generous cut that falls softly over the hips without constriction and is ultra-flattering on curvier shapes. Spaghetti straps, cap sleeves and long sleeves offer a cornucopia of sleepwear options for virtually every taste and occasion. It’s not hard to understand why so many of us love the timeless look and feel of long night gowns for curvier silhouettes. 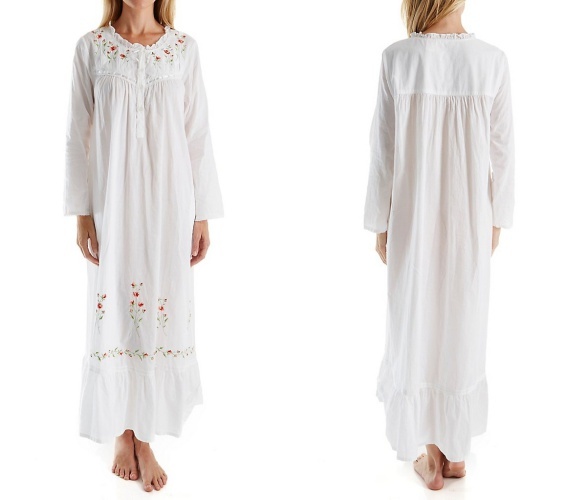 From cool cotton nightgowns and modern microfiber to luxurious light and warmwear fabrics, this classic sleepwear easily covers the gamut of almost every option imaginable - the best part - it can be worn comfortably throughout the year. Clever design elements like ruching, pleating, wider cut sleeves, and shoulder straps with a generous fit and feel, are ideal for curvier shapes. 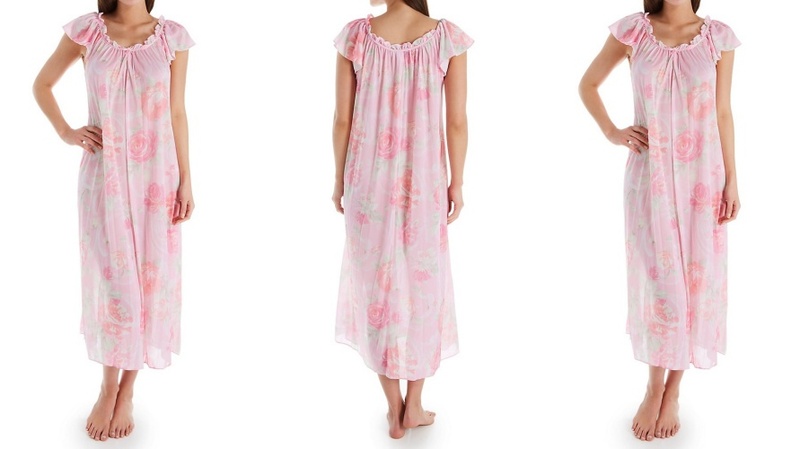 Cozy, comfortable, easy fitting, and feminine, it's easy to see why these full coverage night gowns are super popular. When it comes to striking that elusive luxurious balance between comfortable nightwear and stylish loungewear, perhaps nothing gets it quite so right as a beautiful caftan. 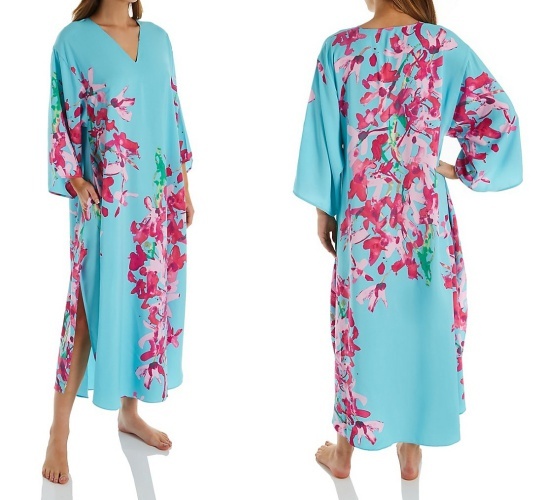 A variation on a classic tunic, long and elegant caftans come in simple slip on and zip front styles that are easy to slide into and out of, and include features that are cleverly designed for maximum comfort and an easy fit. These effortless night gowns for curvy silhouettes have roomy sleeves, hidden pockets, and V necklines, and are available in a stunning array of cotton, microfiber, satin, and silk nightwear styles.